LC8007 OPT SHR hair removal uses optional launch 560-950nm and 640-950nm wide spectrum of intense pulse ight, with the theory of selective absorption of light, the temperature rises rapidly that effectively damages the hair follicle and prevents to regrowth, so as to achieve permanet hair removal effects and not destroy other tissues meanwhile. LC8007 OPT SHR hair removal machine combines high average power, low fluency and aÂ high repetition rate; gradually increasing the temperature of the hair follicle by stacking the laser pulses which is the professional hair removal machine for beauty salon, spa and clinic. It not only hair removal but also provide skin rejuvenation treatment. 1. Shot treatment time: high frequency to make it 5 times faster than traditional IPL technology. Flash 10 times in 1 second. 2. Noninvasive: Without any trauma for the skin tissue. 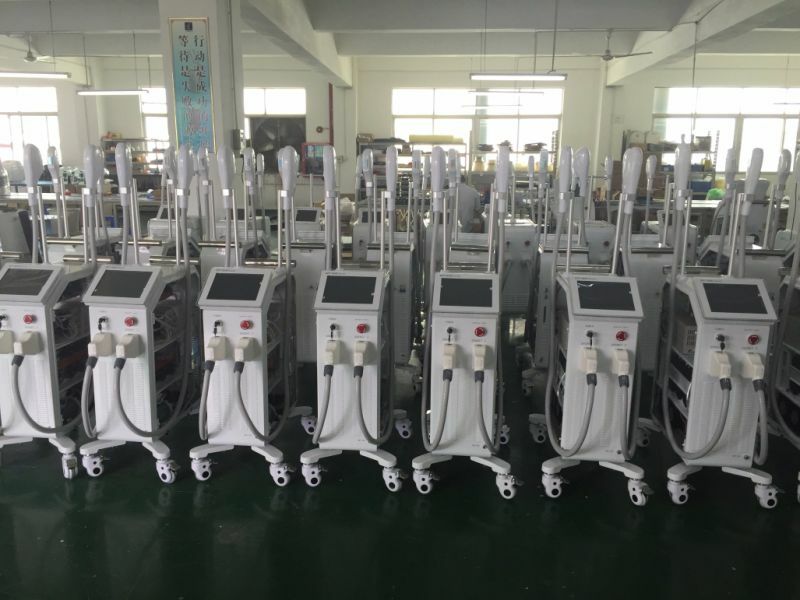 Effectively avoid side effects the laser, flash slide at the same time greatly reduce the difficulty of the operation. 3. Painless: Excellent cooling system to protect epidermis layer. 4. No follow-up care: Just prevent sunshine contact and hydrate, no other special postoperative required. 5. Stable effect: the effect is 10 times better than other mothods, wider suitable of customers, instant curative effect is more apparent, long-term effect is more durable. 6. One machine two hand-pieces, 6 times lifespan compared to traditional. Langdi is the original manufacturer of skin analyzer, IPL hair removal, HIFU face&body and other related beauty machines since 1998. 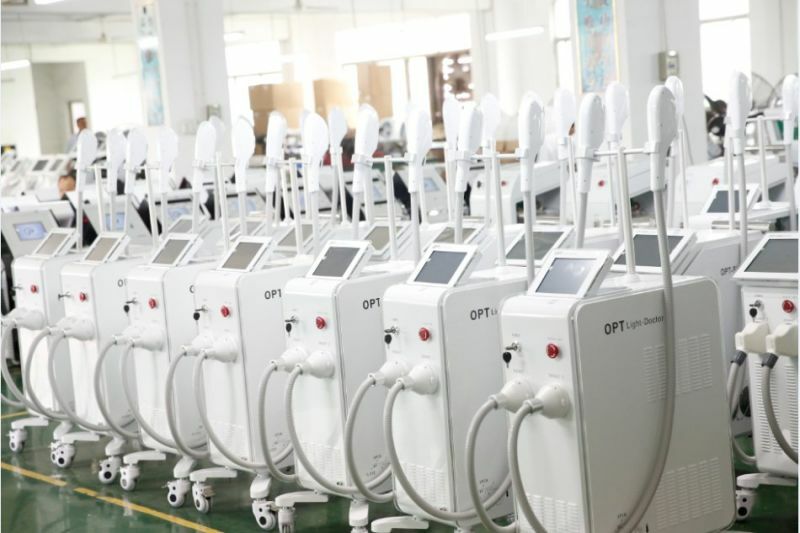 With over 3000 square metres workshop and more than 20 professional members R&D team, we gradually develops to be one of the biggest beauty machines manufacturer in China. Q1: Do uÂ have any certificate? 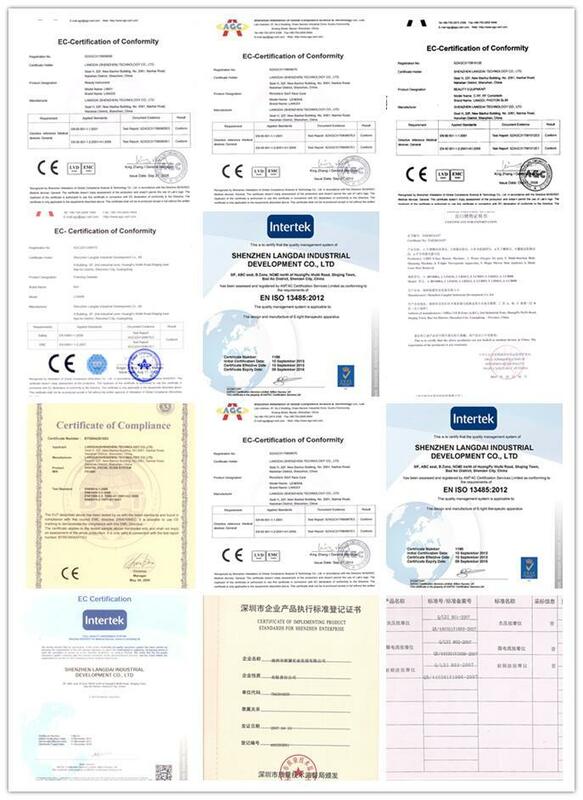 YES, we have CE certificate. Q2: Do you have any training? YES, we provide detail user manual and video training. Q3: How about your warranty? YES, we provide 1Â year warranty. Q4: How can IÂ make order? Just send messages in below about your requirements, IÂ will reply you in 24 hours. Looking forward to your inquiry!! !